The alluring qualities of the world famous Kruger National Park make it one of the greatest tourist destinations, not only in South Africa but in the world. Every year, thousands of guests will visit the park and enjoy a once in a lifetime Kruger Park safari. The park has a history that goes back well over 100 years. The founding fathers of the Kruger set aside this pristine piece of land to preserve South Africa’s wildlife heritage and today, the park is the country’s biggest commitment to conservation. Every person who visits the Kruger is touched by their experience and leave a piece of their hearts here. You can book your Kruger Park safari with Kurt Safari. Our 20 years of experience makes us the foremost Kruger tour operators. Kruger National Park is one of the largest game reserves in Africa. It covers an area of 19,485 square kilometres (7,523 sq mi) stretching into the provinces of Limpopo and Mpumalanga, taking up a huge portion of north-eastern South Africa, extending 360 kilometres (220 mi) from north to south and 65 kilometres (40 mi) from east to west. The administrative headquarters are in Skukuza. Areas of the park were first protected by the government of the South African Republic in 1898, and it became South Africa’s first national park in 1926. The first tourists visited the park in 1926, and since then the park has developed into a wild holiday destination. Guests can enjoy private Kruger Park safaris as well as self-drive excursions while choosing from a wide variety of Kruger Park accommodation. The biggest attraction to the park is, without a doubt, the wildlife species who inhabit this corner of the country. With hundreds of species and massive populations, even single day drive visits can be epic adventures with many animal sightings. The Kruger National Park offers a variety of natural environments for animals of almost every kind. 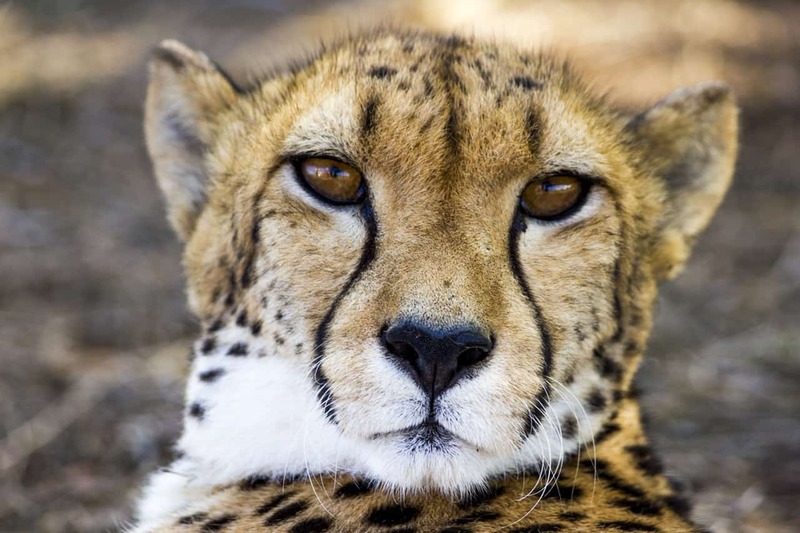 You can find the following animals in the Kruger National Park: Elephants, rhinoceroses, zebra, hippopotamus, giraffe, buffalo and antelope, bush pigs and hogs, hyraxes, aardvark, the big cats, and members of the dog family like jackals, hyenas, civets and genets, mongooses, otters, badgers and polecat, baboons and monkeys, bush babies, hares and rabbits, hedgehogs, shrews, moles, elephant shrews, porcupines, springhares, squirrels, cane-rats, mole-rats, dormice, fruit bats, sheath-tailed bats, leaf-nosed bats, evening and Vesper bats. The Big 5 fall among 147 mammal species that can be found in the Park and as for reptiles, well 114 reptile species call the Park home.The best-known animal sightings have to be the Big 5. Guests who see the lion, leopard, elephant, buffalo and rhino during their trip are truly lucky. The park is unpredictable, so when visiting, you should never do so with a checklist of animals in mind. You never know what you might see. It’s not just animals that guests will get to see. The unique flora to be found in the park is just as exceptional. The Kruger National Park boasts a magnificent 2000 plant species which includes over 330 tree species. Furthermore, there are 34 types of different amphibians, 49 species of freshwater fish and a whopping 500 plus bird species to excite the bird enthusiast in you! South Africa’s most beloved national park inspires over 1 million visitors to enter the park each year. Seeing animals living in their natural habitat is an experience like no other. Whether you are looking at rustic accommodation such as tents or caravans, or should you want a more luxurious stay, the Kruger has it all. Some of the most popular styles of accommodation include bungalows and huts while guests can also look forward to staying in a guesthouse when visiting with family or big groups of friends. The Kruger National Park offers a variety of accommodation styles, all of which are kept neat and tidy by the park’s vast team of cleaning staff that patrol the camps every morning after 10:00. With most accommodation options, excluding tents, quality bedding is provided. If you look inside the bungalow or chalet cupboards you will find that the Kruger Park does not skimp on utensils either. Everything, from teaspoons to braai tongs, something which is often overlooked when packing for your African safari, is made available to guests. You can also keep your drinks cool and store your leftovers in the fridges provided by the Park. Guests camping often have access to a communal fridge while those in bungalows and huts have their own refrigerators. Now if you’ve been around and have visited a few of the main rest camps in the Park, you will have noticed that some fridges are in cages of diamond mesh, while other cages are empty and you walk into your chalet to discover that your fridge is in the sleeping quarters of your chalet, don’t be alarmed. Depending on the severity of the baboon and monkey problem at a camp, some fridges have been moved inside, as Baboons have learnt how to unhook the cages built to deter them from raiding fridges. Should your fridge be placed in one of these cages, make sure you have a lock packed in so you can lock the steel gate. In order to prevent baboons from raiding your accommodation, you should never leave windows open, or food out in the open and also do not think that a safari tent will hold out very strong baboons. Rather place your food in cooler box and pop it in the car for your daily Kruger Park safari. If baboons raid your accommodation and gain entry to the fridge, you will find a total mess upon your return and perhaps a few of the culprits as well. Immediately phone camp reception, who are used to a baboon raid, and will send out a cleanup team to restore order to your unit. Let’s look at the types of accommodation available in the Park. How much privacy do you want during your stay? Satellite camps don’t allow day visitors into the camps and they have different types of accommodation to consider. Rustic or luxury? Staying in a camp is not for everyone, and not everyone appreciates having to share ablution or cooking facilities. If you want your stay to be more comfortable, considering a hut, bungalow or cottage might be best. What kind of game are you hoping to see? Your Kruger Park safari is going to be characterised by wildlife and because the park is so immense, there are different animals living in different sections of the park. Rest camps include Berg-en-Dal, Crocodile Bridge, Letaba, Lower Sabie, Mopani, Olifants, Orpen, Pretoriuskop, Punda Maria, Satara, Shingwedzi, and the parks main headquarters, Skukuza. Satellite camps include Maroela, Tamboti, Malelane, and Balule. Bush camps include Bateleur, Biyamiti, Shimuwini, Sirheni, and Talamati. Overnight hides include Sable and Shipandani. Bush lodges include Boulders, Pafuri, and Roodewal. The only campsite in the park is Tsendze. Luxury lodges consist of Imbali, Jock, Lukimbi, Rhino Walking Safaris, Shishangeni, Singita Lebombo, The Outpost, Lion Sands, and Pafuri Camp. First off, there is basic camping, and here you can pitch your tent or park your caravan, with most camps offering power so you can plug in your gizmos, and if you are staying at Lower Sabie, there’s a tap for every campsite. 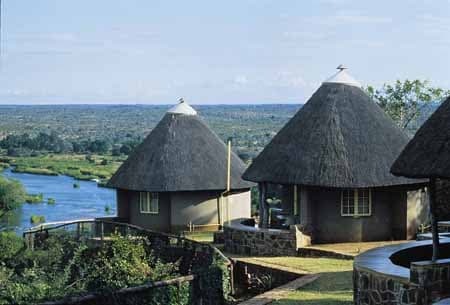 Camping is often more affordable and many sites are situated in pristine game viewing areas. Next are the huts. The huts in the camps work in conjunction with a central communal kitchen near to the hut itself, as well as an ablution block close by. A glamping option is the Safari tent, but these do differ from more basic units, where you share the kitchen unit and ablution block with other tourists, to luxurious units perched on the riverbanks with their own en-suite and neat little kitchen unit. The sturdy Kruger Park Bungalow is a favourite for avid wildlife enthusiasts and comes standard with an ensuite. From this point on, there are options which have a kitchenette and stoep area to others where you have to share the communal kitchen. As with the safari tents, you can decide how luxurious you want to go, depending on your budget. The cottages of the Kruger Park have single bedrooms but come with a larger living room, and kitchen and bathroom while the Family Cottage can have more than one room with the same living room and kitchen and bathroom setup. To up the ante, the Kruger also has Guest Cottages which have multiple bedrooms, a solid little kitchen with everything you may need and at the very least 2 bathrooms ( one is usually en-suite). In the Guest House end of the spectrum, you can expect a lounge section, multiple bedrooms, a very beautiful view and even a bar. Graduating from the Guest House, you can relax in the lap of luxury in one of the luxury lodges in the Kruger. Off limits to the rest of the Park visitors, with private roads to the lodges themselves, every lodge has its own character and is part of SANParks’ Golden Kudus, which is luxury focused. These lodges are divided into 4 star and 5 star lodges. One great benefit of staying in a main rest camp is that you can get information regarding the latest sightings close to the camp. When planning your day’s Kruger tours, you’ll find this information very helpful. The Matjulu Spruit trickles through this Rest Camp with its beautiful gardens and paths perfect for an afternoon stroll or morning jog. As with other camps, bushwalks are available for those wanting to get a closer look at the animals of the Park on foot. Bushwalks normally start around 05:15 in the morning and in certain times of the year you will find that you need your headlamp to navigate the darkness towards reception where your two rangers will meet you and a quick orientation talk is given. Usually, rangers drive out with tourists away from the camps, usually on a road where access is denied to the rest of the public. Scouting for wildlife as they go, the game viewing vehicle stops were enough game seems to be visible, and an effort is then made to track these animals on foot and get a closer photo opportunity for guests. Something you need to know about a bushwalk is that you need to wear neutral clothing as to not stand out too much in the bush, so put away that nice red jacket and go for the cream coloured fleece instead. Another thing to know is that you should apply perfume before going on a bushwalk in the Kruger National Park. Guided Bushwalks take place in the early morning or in the afternoon and usually last about a couple of hours, with a bush picnic in between for everyone to catch their breath. The two armed rangers that guide you on the walk elaborate on the fauna and flora of the area as you go, walking along in single file behind the ranger. Remember to stay in line as a row of humans is perceived as one large animal by other animals in the Park, and only once this line is broken, can the animals differentiate between individual tourists. You’d be surprised to know that rangers will happily track lions and leopards during a bushwalk and not shy away from getting as close to the predators as is safe. With a bushwalk, you experience the Park in a different way. With the hum of a car engine no-where near you, your ears adjust to the sounds of the Park. You might hear the repeated roar of a lion or an unfamiliar bird all due to the fact that there is less noise interference. Not only will you encounter wildlife but you will also stumble across the remains of human settlements and even human graves, a remnant of the times when people still lived off the land here at the beginning of the 20th century. Safety tips for a bushwalk: As mentioned, remain in single file and stick close together, speaking as little as possible. When you notice an animal and you wish to hold still or get the guides attention, slap the side of your leg or hip which makes a more natural sound. The most important thing to remember, though, and this the guides will make perfectly clear to you, is not to run. Remember to wear your comfortable walking shoes, and also note that no children under 12 are allowed on the bushwalk. The Berg en Dal camp is a great place to Park you Caravan, pitch your tent or experience the great bungalows on offer. There are also Guesthouse options for friends and families looking to spend the night. The camp boasts two guesthouses and two and three-bed bungalows, as well as six-bed family cottages. At the caravan and campsites, each site has its own braai and power outlet. Berg en Dal is a great rest camp if you want to see rhino and elephant and you may also bump into the honey badger, wild dogs, giraffe and klipspringers. Many visitors especially love the bungalows of the camp, its quiet atmosphere as well as the track around the perimeter of the fence that allows for great views while jogging, especially if you’ve been sitting in a vehicle all day. The gardens have been planted with aloes, and care has been taken to allow a look most fitting to the natural surroundings with the preservation of the Malelane Mountain Bushveld. It may not look that way but Berg en Dal is quite new and opened in 1984. Twitchers, or bird enthusiasts, also find that Berg en Dal offers a great variety of birdlife. The Kruger Mpumalanga International Airport or KMIA is 25 km’s away from Mbombela(also known as Nelspruit, the capital of Mpumalanga) which is only a half an hour away from the Malelane Gate. There are Bushman paintings nearby. When it comes to facilities in the main rest camps, you can find a laundromat, cell phone reception, a fuel station, a good spot to have a picnic with amenities, a pPark shop, in some cases a film auditorium, some conference rooms, a post box and even a public telephone, the standard communal kitchens and ablution blocks and a swimming pool for those visitors staying overnight. Satellite television is available in the Guesthouses and you also will have access to basic first aid assistance and emergency road services. Most camps also have wheelchair accessible accommodation. To be more precise, there are 69 bungalows in Berg en Dal with kitchenettes and en-suites, 23 cottages perfect for families with fully kitted kitchens. The Rhino Guesthouse and the J Le Roux Guesthouse are also available. Although there is no restaurant in the quaint little camp perched on the banks of the Crocodile River, it does make up for it in terms of its position close to the Crocodile Gate and it’s cute but petite Park shop, as well as the improved chances of seeing lions! If you want to get away from the hustle and bustle of the larger camps and get a good view of the river, then this is the camp for you. As mentioned, you can spot a lot more lions and rhino in this area of the ‘Southern Circle’ which has a reportedly higher density of the Big Five. As it’s close to the gate, you get a real sense of the wild boundary of the Kruger merging with the hustle and bustle of the outside world. This camp comes with a liquor store and is one of the best-run camps in the Kruger National Park and a great starting point from which to enjoy a Kruger Park private safari. When it comes to facilities in the main rest camps in general, you can find a Laundromat, cell phone reception, a fuel station, a good spot to have a picnic with amenities, a Park shop, in some cases a film auditorium, some conference rooms, a post box and even a public telephone, the standard communal kitchens and ablution blocks, a swimming pool for those visitors staying overnight. Satellite television is available in the Guesthouses and you also will have access to basic first aid assistance and emergency road services. Uncertain whether your camp offers these? You can contact us here to find out. While driving towards this Camp from inside the Park, you will be able to view the farmlands of nearby Komatipoort which is only 12 km away from the border to Mozambique. This makes the Crocodile Bridge Camp a great stopover if you are on your way to or from Maputo or Mozambique. The camp has bungalows, camping facilities, picnic spots for day visitors, bush walks, take away meals and also night drives and day drives. Get your torch out and if it’s winter, make sure to bring a jacket as it gets much colder while on a night drive in South Africa’s most spectacular National Park. Your night drive will begin at dusk, and usually, two game rangers will accompany you in a game viewing vehicle. Each game viewing vehicle is equipped with spotlights, and usually, there is a spotlight for each side of the vehicle, which increases your chances of a fellow traveller spotting a carnivore. The great thing about going on a night drive in the Kruger National Park is that you may get the chance to be in charge of the spotlight on your side of the vehicle. This is best left to someone with some experience of spotting wildlife at night but there are a few tips you can take from us. Make sure you cover not just close to the vehicle but also towards the horizon, the main objective is to witness an animal’s eyes reflecting the light from the spotlight. In this way, you can easily spot herbivores and carnivores in the distance or hiding close by, as they are not aware of the light reflecting from their eyes, and giving away their position. A good rule of thumb is to ask to stop when you spot eyes that reflect a yellow or reddish colour, as this might be carnivores. The exception to this is the nightjar, which has very big eyes and can usually be spotted flitting from trees in the dense bush as the game viewing vehicle trundles by. Antelope and other herbivores usually have a slight green tinge to the reflection of light in their eyes, and this is something you will get used to quickly as you pass the many impalas that call the Park home. Whatever you do, don’t make a habit of calling “Stop” for every impala you see, your fellow tourists will not appreciate you for this. Night drives also last a couple of hours and you may pick up other guests from a nearby satellite camp before the trip can actually begin in earnest. Be on the lookout for any stray branches your game ranger might have not taken into account while driving! You can book in advance for a night drive and blankets will be provided but it’s best to dress snugly for the occasion, especially in winter. With sweeping views across the Letaba River that will take your breath away and a colony of roosting bats, Letaba Camp is a firm contender for favourite camp for many visitors to the Kruger National Park. The restaurant doubles as viewpoint so you can watch an elephant on the sandbank while sipping a cool drink. It is also home to the amazing Elephant museum. Whether you are looking to kick back in a hut, a safari tent that is fully furnished, caravan site, bungalow, guest house or cottage, Letaba camp will not disappoint. The Camp has three dams nearby but did you know Letaba means river of sand? If you like spotting birds then this camp also has a lot to offer. Elephants will also be a regular sight. Did you know the male elephant cannot really be castrated as it involves a very invasive operation into the abdomen or that the skin of the African elephant absorbs water like a sponge? Witness these beautiful animals in their natural environment. When it comes to facilities in the main rest camps in general, you can find a Laundromat, cell phone reception, a fuel station, a good spot to have a picnic with amenities, a Park shop, in some cases a film auditorium, some conference rooms, a post box and even a public telephone, the standard communal kitchens and ablution blocks, a swimming pool for those visitors staying overnight. Satellite television is available in the Guesthouses and you also will have access to basic first aid assistance and emergency road services. Uncertain whether your camp offers these? You can contact us here to find out. A big attraction apart from the great river view is Letaba Elephant Hall at the Letaba Rest Camp. This unique museum covers everything related to the magnificent elephant from its evolution to its ecology. A must see here is the ivory tusk of the Magnificent 7 (legendary elephants of the Kruger that had some of the largest tusks you’ll ever see.) There is no entrance fee to the Elephant Hall and it is open from 8 am to 8 pm from Mondays through to Saturday, while on Sundays it remains open only until 6 pm. 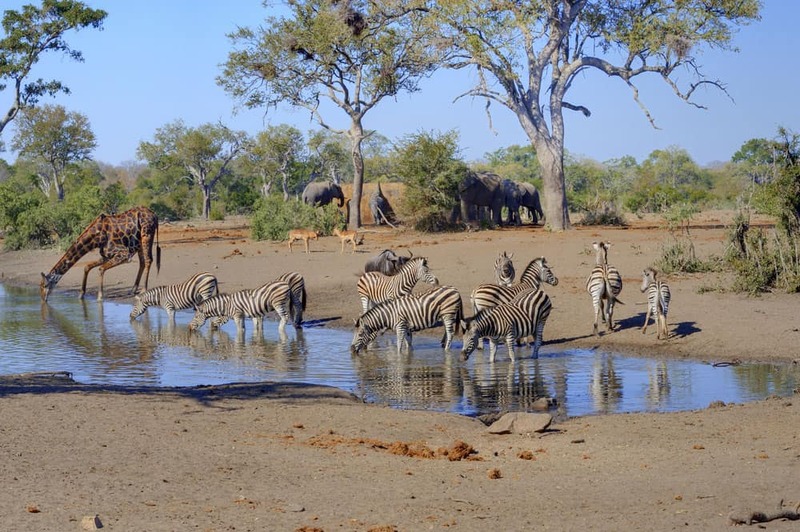 Lower Sabie has special significance for many of those who have stayed in the Camp and also offers a large variety of animals because of its location. It has the perennial Sabie River flowing past it, and with that comes a continuous entry and exit of animals that come down to quench their thirst, or spend their day on the riverbank. With a variety of accommodation options mostly oriented towards to river, great views are a given for those who book the right chalet or safari tent, of which there are wheelchair accessible options. A large Park shop offers a bustling atmosphere seeing as Lower Sabie is not just a favourite of visitors from overseas, but also for residents of nearby Nelspruit, the capital of Mpumalanga. Currently, the Mugg&Bean at the camp is one of the busiest in the Kruger, and it’s no wonder, as the restaurant deck offers arguably some of the best views ever from a franchise restaurant. Experience the exclusivity of a secluded 2 bedded safari tent built in such a way that other camp-goers noise and noticeable activity, is lessened. Here you can kick back on your deck and maybe build a fire on the braai while looking over at the animals right in front of you, enjoying the Sabie River. Mosquito nets are your windows and you have canvas flaps to shut out the sunlight should you wish to take an afternoon nap. Even the bathrooms have views over the river if you open the right flap. Just watch out for those slippery slanted shower floors. The camp’s Laundromat, like those in the rest of Kruger, offers a washer and dryer that is coin operated. Keep in mind that some clothes can’t be tumble dried and you will have to hang these up somewhere to dry. If you are looking for something different, why not try the Mopani rest camp. Situated on the banks of the pioneer dam this camp offers views of wildlife that will save you the trip of driving out of the camp to catch a glimpse of the big five. This camp lies very close to the Tropic of Capricorn. You can, in fact, take an S143 which is conveniently called the Tropic of Capricorn loop, which allows you to drive along the parallel of latitude. The Pioneer dam is fed by the Tsende river, both of which provide ample water to the surrounding lush green landscape. These bodies of water also attract animals which make for great game viewing. Visitors to the camp also remark on the excellent birding to be done here as well as the relaxed vibe of the camp. Depending on the chalet you book, you might even be able to see and hear the hippo in the dam. When it comes to facilities in the main rest camps in general, you can find a Laundromat, cell phone reception, a fuel station, a good spot to have a picnic with amenities, a Park shop, in some cases a film auditorium, some conference rooms, a post box and even a public telephone, the standard communal kitchens and ablution blocks, a swimming pool for those visitors staying overnight. Satellite television is available in the Guesthouses and you also will have access to basic first aid assistance and emergency road services. The Rest Camp gets its name from the Mopani bushveld that surrounds it. The campgrounds have been left with most of the Mopani trees growing where they sprouted before the camp opened in 1992. To keep the look of the camp as natural as possible, vegetation has been landscaped as little as possible. When it comes to accommodation in the Camp, you can choose between the guesthouses at the upper end of the scale, to cottages and also self-catering chalets which have been built to blend into the surrounding bush. The Mopani Rest Camp is also the starting point for the magnificent Lonely Bull Trail backpacking guided trail which crosses the divide between the Mingerhout Dam and the low water Letaba bridge. It will take you four days to complete this amble between the beasts of the Kruger National Park and you can book the trail if you’re under 8 people but more than 4 trekkers. You leave your care in the Mopani Rest Camp and but make sure you bring your own camping gear and food for the trip. Mostly this is a self-service trip where you cook your own food and whatever you bring into the wilderness, you need to make sure you take out again when you leave. Dine in a beautiful setting in the Tindlovu restaurant in Mopani Rest Camp, and why not get a sundowner and be serenaded by the hippos of Pioneer Dam. For sweeping panoramic views of the bushveld of the Kruger National Park, there is nothing to trump this main rest camp. With a fully equipped Park shop and nice little Mugg & Bean perched above the viewing promenade, it is a must visit. Chalets that offer river views on the Oliphant’s’ river are quickly booked so you need to make sure you book well in advance to secure these beauties. Even though you may be high up on the viewing deck, or from the restaurant veranda, you can still easily spot animals take a refreshing walk through the Olifants river. Best to bring your binoculars along to this camp as you might spot an eagle and want to get a closer look. Another upside to this camp is that you can get a closer look at the Olifants river yourself by partaking in a guided walk. A treat is to arrange to go on a bush braai where the sounds of the Kruger really come alive at dusk. Incidentally, did you know that when you stand on the viewing deck at the Olifants Rest Camp, you are standing in the Limpopo province of South Africa but everything on the opposite of the river is the Mpumalanga Province. If your feet are itching to get into the bush and you’ve had about enough of driving around in a car, then why not consider the Oliphant’s River Backpacking trail which lasts 4 days and covers about 40 kilometres. You get to camp every night on this trek as there are no huts to sleep over in. There are two luxury guesthouses in the Oliphant’s Rest Camp, as well as two, three and four-roomed bungalows complete with en-suites, and there are also two huts that are kitted out for anyone with mobility issues. Olifants’ really gives you the best of the Kruger with it being placed in the middle of ecological transitional zones. Remember that baboons here are just as clever as in other camps so best to keep your windows closed and your food securely contained whenever not around. The friendly staff provides a great feel to this camp situated in its prime position. Though it may be small, and situated at the Orpen Gate, this camp punches above its weight in terms of the wildlife on view and the proximity of the animals from the comfort of your bungalow. This all has to do with the watering hole created right next to the camp fence, onto which all the bungalows face. At night this dam is lighted and that means is that you get front row seats to the elephants, and other herbivores that brave the spotlight for a nice cool drink after a hot day. This is great as you could be getting your food ready in the outside kitchenette or adding more firewood to your braai while taking a look at the wildlife. And any Kruger Park safari in this part of the park will be unforgettable! Honey badgers are quite crafty in these parts, and you may be surprised to be woken up by one checking if all your cupboards are locked, and if they aren’t, watch out! Night drives at this camp offer the chance to see leopard and hyena, as well as white-tailed mongoose. In the day you may spot a leopard drawn to Orpen because of the herbivores that feed on the sweet grass in the area. Although the shop is smaller than at other camps, it does offer you all the basics but do remember it closes earlier so best to check out with all you need. A nice swimming pool is a great way to cool down at Orpen if you are visiting in the summer months. Be warned though there is no restaurant at the Camp, however you will find all the utensils you need in your kitchen cabinets to rustle up a meal fit for a king and queen. Orpen is definitely worth a visit if you wish to get away from the hustle and bustle of the larger camps like Letaba or Skukuza and simplfewerve less people around to get between you and that great view of a leopard, lion, or hyena. Staff at this little camp are a friendly bunch. If you book one night in the Park, this is a great option because you are sure to see animals at the watering hole gratis. Your accommodation at Orpen Rest Camp could either be a two or three bed thatched cottage, but there are also Guest cottages offering room for six people, so a great option for families or a group of friends. Game walks are on offer at this camp and make for a great reason to get outdoors. The Orpen gate is named after the Orpen family who contributed land(around 25 000 hectares ) and boreholes in the early stages of the Parks existence. You can visit a white hut in the camp that now acts as a museum to JH Orpen and wife Eileen Orpen. The hut also stands at the exact spot where this gate to the Kruger used to be. This is the oldest rest camp in the Kruger National Park and the camp is named after Willem Pretorius who was buried here. This Camp offers everything a visitor to other main rest camps might expect, a great restaurant, an inviting pool and tall trees that provide ample shade. Accommodation in this camp is a smorgasbord of options, from a basic hut to a grand guesthouse fit for the large family, to your standard bungalow, perfect for a couple. The gift shop is a draw card for many visitors who end up staying here as the camping facilities are well maintained and clean. Night drives, guided walks, and morning drives are on offer and many visitors come back from these excursions having spotted the big five, before fellow tourists, sleeping in, have even spotted breakfast. The atmosphere of Pretorius Camp is great, with dusk the barbeque fires are lit by fellow travellers to the Kruger National Park and the smell of braai-vleis fills the air, as well as the talk of wildlife encounters of the day, and the plans for the day ahead. An attraction to this main rest camp is the hut of Harry Wolhuter, one of the original huts built in the 1930’s with the aim of providing tourist accommodation. Harry Wolhuter, one of the first game rangers in the Park, is famous for the tale of killing a lion at night after being ambushed by two lions while he was on horseback. “I took a bit of time out to visit the museum and see the display of the lion skin, the lion that my grandfather killed with his knife. THIS LION SKIN, THE BELT, THE KNIFE AND THE SHEATH are relics of an epic struggle between a man and a lion. The man was HARRY WOLHUTER, one of the best-known game rangers since 1902 in the former Sabi Game Reserve retiring after forty-four years of service as a ranger in the Kruger National Park. In August 1903, Mr Wolhuter was returning on horseback with 3 native rangers and his dogs from a patrol in the Olifants River area. Compelled by drought to seek a suitable water-hole where they could camp for the night, Mr Wolhuter rode ahead with one of the dogs. Shortly after dusk, he heard what he took to be two reedbuck in the grass alongside the trail. When he was within three paces of them he saw they were lions and that they intended attacking the horse. There was no time to shoot and his desperate attempt to escape by spurring on the horse was frustrated when one of the lions jumped on to the horse’s hindquarters. In spite of the excruciating pain, he was suffering Mr Wolhuter saw that his only chance of escape lay in gaining possession of the knife provided it was still in its sheath on his right side. With his left hand, he felt for the knife. It was still there and with great caution, in order not to arouse the suspicion of the lion that its prey was still alive, he succeeded in drawing the knife from its sheath. His only hope of success was to stab the lion in the heart. To do this he had to reach with his left hand across the animals left breast. After the lion had dragged him for almost a hundred yards, he struck twice at the beasts breast and then at the throat. The last blow severed the jugular vein, after which the animal dropped him. Drenched in blood Mr Wolhuter vainly tried to set fire to the dew-wet grass as he was afraid the second lion would attack him. Eventually, he succeeded in climbing into a tree. Weak from the loss of blood and shock he strapped himself with his belt to the branch some twelve feet above the ground. He heard the lion he had stabbed die but the other lion now returned and tried to climb the tree. Mr Wolhuter’s dog, which had returned to him after chasing the other lion, worried the lion and prevented the beast from reaching his master. When the native rangers arrived they lit a fire and with great difficulty succeeded in lifting the wounded man from the tree. They had no water with them and he was parched with thirst. After a desperate and vain trek to the nearest water-hole, some dirty water was finally found by one of the natives and given to Mr Wolhuter to quench his thirst. A vain attempt was made to wash and dress the wounds. The next day the natives skinned the lion, bringing the skin, Mr Wolhuter’s knife and the lion’s heart which he had pierced in two places back with them. It was only the following day that his rangers assisted by other natives, started out with Mr Wolhuter, now delirious from the septic wounds on a primitive litter to Komatipoort, which was reached five days later. Here a doctor dressed his wounds without anaesthetic. The following day he was taken by train to Barberton hospital for treatment where he recovered notwithstanding the doctor’s despair of his life. This is the story behind the relics in this frame and behind the Lindanda Memorial between Tshokwane and Satara on the Ngwanetsi road. Another is the tale of Jock of the Bushveld. The book by Jocks owner, Percy FitzPatrick made the Staffordshire bullterrier mix famous because of the adventures and wildlife encounters along FitzPatricks side who was, at the time, a transport rider. FitzPatrick used to regale his children with tales of Jock and was later persuaded to write about his adventures in book form, which was widely welcomed. You can visit the spot where Jock was born to the eastern side of Pretoriuskop. Entering the rest camp, a few antelope roam about and some may even be timid enough to come right up to your bungalow door. A well-situated camp, the Pretoriuskop Camp is 9 kilometres from the Numbi Gate near Hazyview. Looking for a taste of the old Kruger Park and a bit more wild of an experience? Then Punda Maria main rest camp is the best choice for your next trip to the Kruger National Park. Twitchers love this camp for the great opportunities afforded for bird watching, and another draw card is the chance of spotting Nyalas. Although a few extra Parking bays would do no harm, Punda Maria surprises visitors with its classic old school charm with its inviting pool and top notch luxury safari tents. Great family units make this camp a good option for a larger crowd. Do take note that only three bedded unit bungalows and family units have showers, whereas the 18 two-bedded huts(some built around 1930) have all the amenities except for a kitchenette and shower or bath. But don’t let that put you off, there are communal cooking facilities where new friends can be made, and also ablution blocks not too far from your bungalow. Sitting high up in the north of the Kruger National Park, the bungalow accommodation retains its roots but inside, modern updates have occurred to provide visitors with a better experience. When you arrive at Punda Maria, make sure to plan to visit the Pafuri Picnic Spot and also take a drive to Crooks Corner. Although the surrounding vegetation does not support too many large game species you can still find many buffalo, elephant, and the elusive Tsessebe or Pel’s fishing owls here, a real treat. For a sense of history on the Kruger National Park, Punda Maria is your camp. Drive past magnificent Fever Tree forests and sturdy baobabs. When it comes to facilities in the main rest camps in general, you can find a Laundromat, cell phone reception, a fuel station, a good spot to have a picnic with amenities, a Park shop, in some cases a film auditorium, some conference rooms, a post box and even a public telephone. Satellite television is available in the Guest houses and you also will have access to basic first aid assistance and emergency road services. Uncertain whether your camp offers these? You can contact us here to find out. Satara Camp is one place to stay if you want to see the parks big cat population while on your Kruger National Park safari. Looking to spot the big cats? Well, then Satara is the Camp for you. With a Mugg and Bean and a good Park shop, you won’t be caught without essentials at this camp. Those who like to camp will find this facility agreeable and with the chance of camping right up against the fence to experience wildlife up close and personal, what is not to like? At Satara you more often than not hear the roar of lions at night. Being the third largest camp in the Kruger National Park there is a considerable list of facilities available. In terms of accommodation, huts, guesthouses, bungalows(including wheelchair accessible units) and camping and caravan sites are available here. When it comes to facilities in the main rest camps in general, you can find a Laundromat, cell phone reception, a fuel station, a good spot to have a picnic with amenities, in some cases a film auditorium, some conference rooms, a post box and even a public telephone, the standard communal kitchens and ablution blocks, often a swimming pool for those visitors staying overnight. Satellite television is available in the Guest houses and family bungalows and you also will have access to basic first aid assistance and emergency road services. Uncertain whether your camp offers these? Great game viewing is the biggest draw card to this main rest camp and generally most visitors to this camp remark on its excellence. Accommodation options amidst the Mopani trees are bungalows, huts, a guesthouse, a camp site as well as a cottage that sleeps four. All activities are on offer here, from game drives to bush walks affording you the grand opportunity of getting up close and personal with big game. Along this waterway, many river-dwellers can be spotted such as hippopotamus and waterbuck. Large fig trees also make the perfect perch for the elusive leopards so keep scanning those branches next to the river. The camp gets its name from the Tsonga name for the nearby river. Did you know that one of the Magnificent Seven elephants, Shingwedzi, died near the camp. The Magnificent Seven are the top seven elephants with the largest tusks that were known to be about the area in the 1970’s to the 1980’s. The grand thing about Shingwedzi, is that while driving on the loops around the camp, you might encounter the next big tusker that will one day be made legend, so keep those eyes wide open. To have a look at Shingwedzi’s tusks, head over the museum at the Letaba Main Rest Camp. Make sure not to miss out on a night drive or the great birding at this camp that is less busy than other camps situated in the south. Skukuza camp is arguably one of the more popular camps in the park. The largest camp in the entire Kruger National Park, if there was a main city for the entire Park, this would be it. As the administrative headquarters of the Park, many extra facilities are on offer here such as a library , an auditorium and conference facilities, two swimming pools, a beautiful golf course, a garden nursery even a car wash and car hire facility. 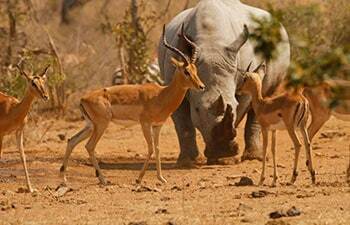 Big Five game viewing at its best can be experience around Skukuza, named after the first warden of the Park James Stevenson-Hamilton, who was given the Tsonga name of Skukuza. Both the knife and the skin of the lion that Harry Wolhuter killed, as mentioned in the story by his grandson Kim Wolhutter, above, are on display at the Stevenson-Hamilton Memorial Museum. The camp has great views and a wheelchair accessible promenade along the Sabie River bathed in the shade of talk bushveld trees, make for a great spot to enjoy an ice-cream, or perhaps order a steak from the Cattle Baron restaurant, one of the franchise steakhouses operating in the Park. The full range of accommodation exists with this main rest camp, from safari tents to luxury riverside bungalows, to caravan spots and guesthouses. The park is so busy because great wildlife viewing is to be had all year round. For many visitors, a stay in the Kruger depends greatly on the time of year you will be visiting. The summers are scorchers and the winters are mild but still hot. Planning around the seasons can make your holiday more memorable and your Kruger Park day safaris more enjoyable. The Kruger Park receives the bulk of its rain during the summer months, from September to March, and weather can range from severe thunderstorms to drizzle lasting days. From the north to the south, rainfall can fluctuate by 300 mm with the north getting less precipitation than the south, which averages 750 mm annually. Summers can get extremely hot in the Park, with 40 degrees Celsius not uncommon. The summer heat and the activity of animals in the Park in the early mornings and near dusk have led to a standard best way to view the Kruger. Generally sub-tropical, winters are mild, but when packing you should still bring something warm. The early mornings, evenings and nights can get quite chilly. Despite this, many agree that Kruger National Park safaris are best enjoyed in the winter. More time can be spent looking out for animals as you won’t be overheating in your car and animals won’t be shying away under bushes, trees and rock outcrops. Set the alarm for as early as possible, and head out of your camp as soon as the gates open for a self-drive safari. Most tourists return for a quick breakfast around 09:00 and then head off for more game viewing, often staying out until 12:00. Because of the summer heat, animals are less active in the warmest parts of the day, from 12:00 to 15:00 and this is also the time when most tourists decide to take it easy, maybe even work in a siesta in their camp accommodation. Drought is something that the Kruger is regularly combating and it has hit the park a few times in its existence, decimating wildlife populations and killing plant life. From 1980 to 1997 the park experienced one of the driest periods with 1993 being the worst year. An ongoing drought in 2016 led to the culling of hippo’s in the park by park management. The officials try to not get too involved with course of nature, stepping in only when absolutely necessary. Recently the park discovered that the man made dams and ponds were having a damaging effect on the migration of wildlife and they began dismantling these constructions in order to restore balance to the ecosystem. You cannot discuss climate without mentioning the very real threat of Malaria. The hot and humid climate is a breeding ground for mosquitoes known for spreading this tremendously awful illness which can affect any park visitors. Malaria in the Kruger Park is a very scary reality and it is best to take precautions before venturing into the area. 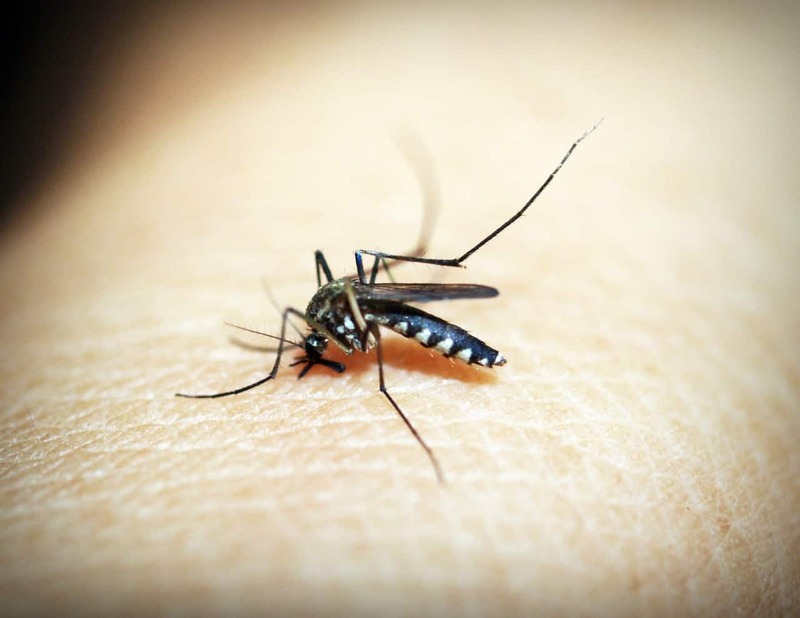 Both the Kruger National Park and the Limpopo Route are known malaria zones and visitors to the park are advised to take prophylaxis, a specific preventative medication prescribed by doctors. The risk of catching malaria is increased in the wet summer months. As only one of two National Parks that fall within a malaria risk area, (the other being Mapungubwe National Park, situated north towards the Zimbabwean border) it is important to be able to recognise the symptoms as well as know the risks, and also know when to consult a doctor before heading to the park. Carried over to humans by mosquitoes (that would be the female Anopheles mosquito) times to be most vigilant in the park are from November to April, however, given the nature of the climate, you should be careful all year round. Many individuals do not know they have contracted the virus as it has an incubation period of between 12-35 days. So what are the symptoms of Malaria to look out for? Aching body, headaches, fever, as well as stomach related problems, and jaundice, are the most common symptoms. Many symptoms resemble the flu. Severe Malaria can cause seizures and hallucinations. How can you reduce your risk of getting Malaria? It has to be reiterated that not just any mosquito bite will transfer malaria, it has to be the female Anopheles mosquito. To lessen the risk of getting malaria, the best method is to reduce the chance of being bitten. Mosquitoes are most active in the early morning and at sunset. Even though all Kruger Park accommodation is fitted with mosquito nets, visitors to the Park are advised to take extra precaution by using insect repellents, burning citronella candles or mosquito coils, and even using citronella soap which will lessen the chances of being bitten. Consult with your doctor on which malaria prophylactic medication you need be before entering the Park. Any visit to the park, any Kruger Park safari, has its origins buried deeply within the history. The Kruger has a magnificent legacy and so many stories intertwined into the fabric of its existence. From its more modern origins to the time before modern man walked this part of the earth, history bubbles up from every corner. It is believed that some 500 000 years ago the area was inhabited by Homo Erectus and cultural artefacts have been found here that date back from 30 000 to 100 000 years ago. There are more than 300 archaeological sites within the borders of the Kruger National Park, where stone age artefacts have been discovered. Thulamela and Masorini are two of the archaeological sites that can be visited in the Kruger National Park. Numerous sites with San Rock Art are also scattered around the Kruger National Park. Before the arrival of the settlers in the 19th century, the area inhabited the Iron Age people, then the Nguni and later the San (Bushmen). Covering an area of 19 633 square kilometres, the Kruger National Park boasts 750 different animal species and 1980 plants. If this is not enough to make you want to visit the area, you can visit some of the 130 rock art sites and 254 known cultural heritage sites, while experiencing your Kruger National Park tour. It was thanks to President Paul Kruger, who back in 1898, had great foresight and decided that the animals in the area needed to be protected, that we have the Kruger National Park. In 1884, the area between the Crocodile River and the Sabie River had restricted hunting rules imposed on it and in 1898 the Sabie Game Reserve was made a reality. In 1927 the Sabie Game Reserve and the Shinwedzi Game Reserve merged and this area was proclaimed the Kruger National Park. Back then there was only one gate into the Kruger National Park and that was at Pretoriuskop. In 1927 only three cars entered the Park and a year later, in 1928, 180 cars enjoyed a Kruger National Park safari. Back then there was no accommodation provided, making all guests day visitors. Visitors to the park had to make their own camp and could travel by day or night. By 1929 eight tourist huts were built in the Kruger National Park, many of which were renovated ranger huts. These were simple rondavels, with just a door and an opening between the wall and the roof for ventilation. There were no stores to purchase food so everything you needed had to be brought along with you. By 1930, 617 km of tourist roads had been constructed. the first of these was constructed between the ranger’s posts. In the rainy season, roads were often washed away and roads had to be closed indefinitely as repairs were being done. Today, it is easy to take the park’s present state for granted. What is now a comfortable place to experience a holiday, was once a truly rustic place. And when once only a few people entered the park each year, that number now stands at 1 million day and overnight guests. Not only do guests have a myriad of accommodation options to choose from, but they also have all of the modern conveniences to enjoy. How big? 19,455 km² – That’s how big the Kruger National Park is …not the biggest Park in the world. The biggest National Park in the World is 603504 km² big and is in Greenland, called the Northeast Greenland National Park. The KNP is the largest National Park in South Africa. Size wise the Park is impressive, it covers two million hectares, is 350 km long and 60 km wide and stretches across two provinces in South Africa, Limpopo and Mpumalanga! Its borders are marked by two rivers, the Crocodile river creating a border in the South of the Park, and the Limpopo river creating a border in the north. The Lebombo Mountains border the Park on its Western side, dividing the Park from Mozambique. The amazing network of Roads in the Park stretch over 2000 km giving you ample opportunity to spot the Big Five in the Park. The Kruger is home to over 27 000 African Buffalo, 12 000 Elephants, and 1000 Leopards. It is best known for being home to the Big 5 but it is also home to massive animal populations. The park has three distinct habitats which include the grassy/deciduous trees in the south, central savannah in the centre and arid mopane scrub in the north. The park has strict road laws and officials are tough on speeding. All guests have to obey the speed limits for both their protection as well as the protection of the animals. When on a Kruger Park safari, no guests may leave their vehicles. Protruding hands and arms, feet and legs, and any other body part is strictly prohibited. The peak seasons include winter, long weekends and South African school holidays, as well as Easter Weekend. The Kruger has a number of picnic spots for visitors to enjoy. Some of these picnic spots are used at the visitor’s own risk as they are not fenced in. The park has everything you could expect from a world-class holiday destination, including internet access and cellphone reception in most of the main camps. This wildlife reserve is every bird watchers dream destination. There are over 517 different species of birds living in the park. The Kruger is home to countless raptors. The Kruger has 1 982 plant species, most of which are indigenous to the park. Officials work hard to keep invasive species out. And of course, the Kruger has 147 mammal species roaming freely. In fact, the Kruger has more large mammals than any other park in Africa. It also has 49 fish species, 114 species of reptiles, and 34 amphibian species. The gate times of all the camps are the same but they do change from season to season. In winter, gates open later and close earlier, while in summer the gates open earlier and close later. When planning your visit, keep this fact in mind. The best time of the year to visit, according to many people, is winter. During these months the heat is not as intense and the humidity won’t drive you crazy. That being said, winters in this part of the world are quite mild. The park has 9 different entrances. The most popular entrances are found in the Southern Kruger. The Southern Kruger also happens to be the most popular place to experience a memorable Kruger Park safari. Kruger Park day safaris are best enjoyed in the Southern Kruger as many of the park’s animals can be seen here during a day trip. It is easy for both local and international visitors to get to the park. There are safe roads linking the park to most major cities, and if you don’t feel like driving, there is always the option of getting a transfer. Most safari companies offer these. The other option is to fly to the park. The airports most visitors use include the Kruger Mpumalanga International Airport (KMIA), Eastgate Airport, Phalaborwa Airport and Skukuza Airport. Each day the Kruger National Park is fighting for the continuation of wild animals in Africa. The conservation efforts that go into the preservation of wildlife. Furthermore, they are at the forefront of rhino conservation. Poaching has decimated rhino populations, and the efforts of the Kruger are helping to protect and restore these magnificent animals. There is evidence of human occupation dating back 1.5 million years. The park has 17 luxury lodges, a gold course, swimming pools in various camps, and for those staying overnight, there is the option of booking a night drive, the only way to see the parks many nocturnal animals. The Kruger National Park is a wondrous place made for both adventurers and those wanting a real rustic, African getaway. 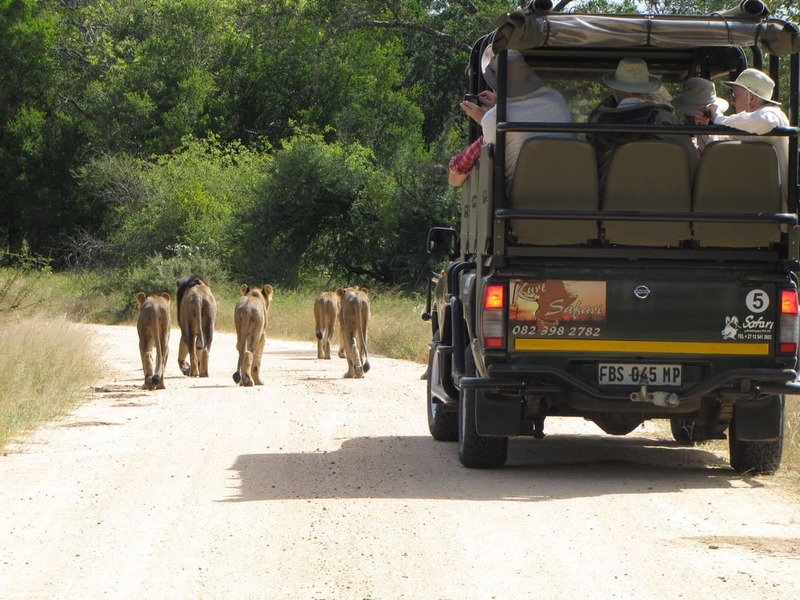 Visitors are in for a once in a lifetime experience, and for those who aren’t interested in a self-drive safari, there is always the option of booking a Kruger Park safari with a tour operator. Kurt Safari has more than 20 years of experience in the tourism industry. Offering safe and affordable Kruger Park safaris and Kruger day tours, guests spend a maximum amount of time on safari while also indulging in fantastic accommodation and fine dining. Kurt Safari also offers Panorama Tours, taking guests on a trip down the Panoramic Route, spotting all of the most amazing attractions along the way. Book an epic Kruger Park safari with Kurt Safari and see just way this historic place has become South Africa’s best-loved attraction!